The Rev. Ms. Justine Sullivan will join Pamela Barz in leading this service. She writes about her theme: “Many Unitarian Universalists have come out of other faith traditions, often with a sense of anger or woundedness. But as Rumi says, 'the wound is where the light enters you.' If we were able to let go of resentment about the past, what gifts might we receive from the faith of our childhood? Whether you are a 'come-outer' or a 'cradle Unitarian Universalist,' might there may be pieces of your spiritual identity that you leave outside the door when you enter this meetinghouse? Come, come whoever you are with all of who you are.” The choir will sing Down to the River to Pray. We are in need of greeters and coffee hour hosts. Justine grew up in Scituate and got her start in church life playing and singing at the “Folk Mass” on Saturday afternoons at St. Mary’s Roman Catholic Church. She found Unitarian Universalism as an adult after many years of being unchurched. 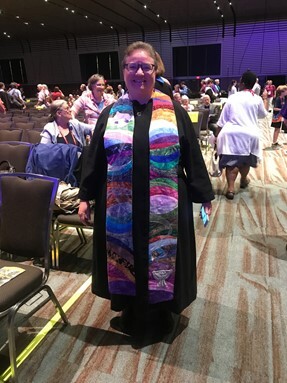 She has worked as a manager in high technology and as a social worker and psychotherapist, and in 2013 she entered seminary and was ordained as a Unitarian Universalist minister in June of 2017. Justine lives in Northborough, MA, with her wife Dale and their dog Callie and serves as the interim minister of the First Universalist Church of Essex, MA. Sunday March 11 Listen: What’s the Story? 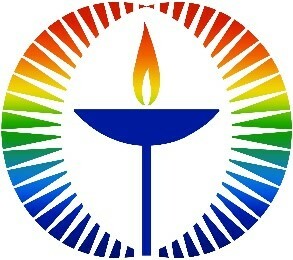 As Unitarian Universalists we don’t look to the books of the Bible as our only source of wisdom and truth. Yet we read their stories in our services as long with poetry, koans, parables, and meditations from many ages and traditions. Why? What is “Scripture” for UUs? Pamela Barz preaching. This is Girl Scout Sunday in the United States. Girls Scouts of all ages, present and past, are invited to wear their sashes this morning and are invite to take part in the service. Please let Pamela Barz if you’d like to be included. The Choir will sing The Ash Grove. We are in need of greeters and coffee hour hosts. Suzanne Oliver will donate the flowers for the communion table. “Absolutely unmixed attention is prayer,” wrote the French philosopher Simone Weil. The concept of prayer can be problematic for many of us since we don’t believe in a Being who gives us what we ask for. What difference might understanding prayer as “paying attention” make? Pamela Barz, preaching. We are in need of greeters and coffee hour hosts. On Palm Sunday we remember Jesus and the multitude of other prophets and reformers whose hearts were broken by the sufferings they saw and who then acted to relieve that suffering. What is breaking our hearts open? What relief might we offer? Pamela Barz preaching. Sophie Bokavich will greet you. We are in need of a coffee hour host. Join Pamela Barz and other members of the Scituate clergy and community for this annual Easter dawn celebration. If you would be interested in helping to lead singing that morning, please let Pam know. Easter is a celebration of the power of life over death. But having the courage to trust that new life will emerge often requires us to be out of sync with the world – to be regarded as fools. Like Jesus and Martin Luther King, Jr. murdered fifty years ago on April 4, 1968, how can we have the courage to be fools for new life. Pamela Barz preaching. Win Lawson will offer special music for trombone. Children will receive Easter flowers at the end of the service and then will be invited to join in an Easter egg hunt, organized by Leslie Beldotti with the help of our 6 th-8 th graders. The sanctuary will be decorated with pots of Easter lilies, tulips, daffodils, and hyacinths. 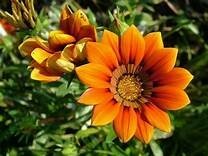 Forms will be available soon for the donation of flowers. and the progress of mankind onward and upward forever. During the late 19 th and early 20 th centuries, these words used to be recited as an affirmation of faith in many of our Unitarian churches and the sign, consigned now to a corner, probably once had hung on the wall of the sanctuary to be read in unison on Sunday mornings. But after World War II, the use of this affirmation gradually died out and the sign became part of history because after the devastation and evil of those years, people could no longer believe in “the progress of [hu]mankind onward and upward forever.” Today we would see the other points as problematic as well, but it was that final one which first drew people’s attention. Clearly we weren’t progressing upwards toward greater love and care for one another when fifty million people, including six million Jews ,had been killed. But discarding a belief in progress continually onward and upward doesn’t mean we have no hope for progress. Progress, as we have seen especially in recent years, moves in the swings of a pendulum rather than in a straight line. We swung out to the future with the election of our first African American president and then back with the election of the current one. But the greater awareness of issues of privilege and prejudice seem to be readying us for another swing to a fairer and more inclusive society. Similarly, the energy and organizing following the shooting of 17 students and teachers at Marjorie Stoneman Douglas High School on February 14 is readying the pendulum for a swing many had despaired of ever seeing. We are still part of that arc, using our combined weight and strength to swing the pendulum for the good of all. We are beginning our third term - spring term! - which runs from March 11th through June 3. All ages will continue to learn about a variety of religions from around the world, and ones just down the road. With deep gratitude we would like to thank the winter term teachers: Jenn Mackey and Carol Sullivan (PreK-1st grade), Julianna Dunn and Ruth Kuhn (grades 2-3), Kate Glennon and Ann Svensen (Grades 4-5), and the Suttons (Grades 6-8 aka Jr. Youth). With spring upon us, Junior Youth with have more visits to other faiths' places of worship on Saturdays or Sundays, so parents of Jr. Youth look for a planning email soon. If you would like to be involved in the Spring semester, sit in on someone else teaching, or do a "one time" lesson, please speak with Brian or Patty Sutton, Co-Chairs of the RE Committee. In honor of International Women's Day on March 8th, and March as Women's History Month, Religious Education has some new Little Thinkers figures to compliment our figures from learning about world religions this year. Come by the back of the Sloop Room to meet Jane Austen, Marie Curie, Ada Lovelace and Eleanor Roosevelt. We hope they inspire all ages for years to come! Our world religions curriculum ends this term with the nursery and kindergartners learning about Esther and Purim. They will make shakers (known as graggers) to shake whenever we hear Haman’s name. This will be the last week with Carol Sullivan and Jenn Mackey as teachers. "We have loved the curiosity, kindness, and sweet insights of this wonderful group"! Grades 1-3 (Julianna Dunn and Ruth Kuhn, teachers) and grades 4-5 (Kate Glennon and Ann Svensen will end the term learning about Christianity (Modern American Christian denominations). Last week, grades 4-5 explored the meaning of orthodoxy in general, introduced Orthodox Christianity, and delved into the iconography of angels. We'll end the term learning about all seven of the Christian denominations with churches right here in Scituate. Kate Glennon and Ann Svensen have "loved the positive energy of this class"! Grades 6-8 will end the term with the Building Bridges curriculum. The next one night, youth conference registration is now open. It will be at the Unitarian Church of Sharon on Saturday March 24th, 9:00 am- Sunday March 25th 9:00 am. Thanks go to Win Lawson for sharing his musical gifts with us on February 18th. We hope to reprise the music on Easter Sunday! Guest musician Claire Decusati will be the organist for the service on March 18th. She holds a Certificate in Sacred Music from Westminster Choir College in Princeton, NJ. She lives in Duxbury. 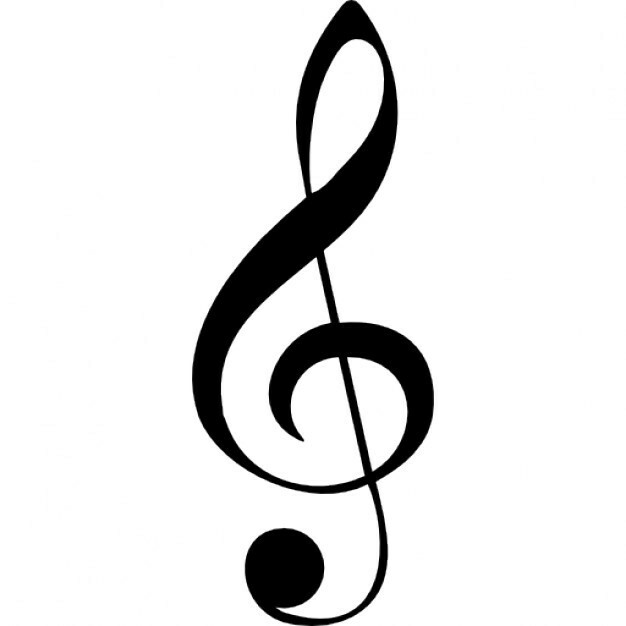 I will be at the Music Teacher’s National Association meeting in Orlando. New Choir members are welcome to join us and sing for choir session Five which continues through April 8th, with a break on March 18th. Rehearsals are Sunday mornings 9:00-10:00. March 4th : Down to the River to Pray from “O Brother Where Art Thou”, an African American spiritual arranged by Sheldon Curry. This is a choir favorite! March 11th: The Ash Grove arranged by Ruth Schram. In honor of Girl Scout Sunday we are singing this favorite camp fire song. March 18th: No choir rehearsal or anthem. March 25th: Life Calls us On, lyrics by Kendal Gibbons and music by Jason Shelton. The annual Choir Party is Saturday March 10th at my house in Kingston. Our annual party is one of the fun perks of being a choir member! Canvass, and Stewardship, and Pledging, Oh My! March Kellerhals shared her thoughts the following Sunday, and others will be sharing their stories throughout March as we rejoice in giving to the church because the church is doing things we rejoice in! I give because I respect the values of the church as expressed in our Covenant, values that are now under assault in these uncaring times where greed and selfishness are considered virtues and the rights of so many are in danger. I give to support the work of the Social Justice committee and the organizations and causes that it supports that help make a difference in the lives of other people in need. I give because I love this historic old building and realize it costs a lot of money to keep it looking its best. And most of all I give because I love this community and value all the things it has to offer, from Coffee Hour to Blue Boat Coffeehouse to the wonderful music at services. If we want to continue to support the things we believe in and enjoy all these services our church has to offer, then we all need to contribute both our time and our money to make these things happen. We get no financial support from outside this room. It is all up to us. We have barely covered our budget in the last few years and if we wish to continue to improve what we offer to our community then we all need to dig a little deeper. I plan to increase my contribution this year and encourage all of you that are in a position to do so to do the same. Thank you. What’s Happening Blurbs, Facebook Posts, and Posters in the Sloop Room about giving, our finances, and how we operate as an entirely self-funded church. The Bling: Follow the money… necklaces that is! Anyone who is wearing a dollar sign necklace at church on Sundays is available to answer your giving questions and talk about the First Parish community. Your Pledge Packet: It will be arriving in your mailbox next week and will include a Promise to Give 2018 card. The Canvass Team request that this card be returned to the church by March 24th so that we can get to work drafting the 2018-2019 budget. Check-in Conversations: Our Canvass Team goal is to directly connect with each member or close friend of the church. This is a time to check-in with each other and hear what you rejoice in at First Parish. It’s also a time to reflect on whether our giving (however we choose to do it) is in line with our values. Save the Date! Saturday March24 th , at 7:00 pm, we’ll close out our Giving Season with a Dinner Bash at the church hosted by your friendly 2018 Canvass Team. We’re looking forward to talking with each of you! 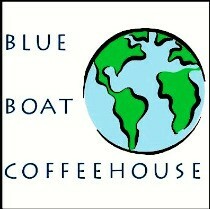 First Parish will host our seventh Blue Boat Coffeehouse on Saturday, March 17 th . Music runs from 6:00-9:00 pm and highlights the incredible talent of local adults and youth - while providing a fun, safe, and sober St. Patrick's Day ... and adding a wee touch o' the Irish in the music and entertainment! This alcohol-free, substance-free, family friendly event will be raising funds for a local non-profit organization ... this night will benefit South Shore Peer Recovery, a local organization dedicated to supporting individuals and families in recovery from substance use disorders. In addition to a suggested donation of $5 at the door, we also be selling refreshments. If you are interested in baking for this event, we welcome any and all offerings! If you can indicate if nuts, etc. are included that would be helpful! This year we plan to upgrade the First Parish Spring Sale by adding crafts and brunch to the recent offerings of plants, bake sale and yard sale. Crafters are starting to make outdoor decorations for porches and yards, to paint fancy plant pots, and to come up with novel surprises. Have an idea for a craft you’d like to do? Please let us know so we can plan space for it. The bake table will be filled with goodies and treats from our wonderful cooks – cookies, brownies, squares, candy- finger foods always do very well. Plants will include both flower and vegetable seedlings, as well as perennials that are ready to be divided from your home garden. Herbs are always especially popular. Please start to plan what you can grow or dig up. Some of our chefs are planning to serve a gourmet brunch from the kitchen. We welcome ladies to our March 14th get together! Our hostesses for the evening are: Laura Smith, Gail Anderson, Kay Shaw, and Donna Cogliano. We are gathering at 6:30, with dinner at 7:00. There's a $5.00 dinner charge. The Guest Speaker is Robine Andrau. Robine immigrated to the US from Indonesia when she was 8 years old, after living four years in a Japanese internment camp. She still has the metal Spam can used as a cup, a fire starter, and a torn flowered dress that were part of her daily life back then. We are fortunate to have Robine as our guest speaker. On Tuesday March 20 at 6:30 p.m. in the Library's book group room we will discuss Toni Morrison’s 1981 novel Tar Baby, the story of a love affair with tensions from differences of class and privilege. Toni Morrison has won the Nobel Prize and the Pulitzer Prize for her writing. There are many copies of the book in the OCLN library system. Get a copy and join the conversation! Participants in the knitting (and other fiber arts) retreat in February decided they didn’t want it to be a one-time event, so a monthly drop-in group is beginning on the last Sunday of the month, 3-4:30 p.m. in the Library Book Group room. It is currently scheduled to meet on March 25 and April 29. Please let Pamela Barz know if you have questions. Would you like to incorporate meditation into your spiritual practice? Would you like to learn how to meditate? Would you like to add the energy of others to your already existing practice? You are invited to come to First Parish’s bi-monthly meditation sessions on Monday nights from 7-8:30 p.m. March sessions are Monday 3/12 and 3/26 . Email Brian or Patty Sutton with any questions at brsutton@hotmail.com or pa ttysutton@gmail.com . Because of the storm, the Men’s Ministry breakfast and service project scheduled for Saturday March 3 may be postponed. Chuck Jones will send out an email by 7 a.m. that morning so please check your email and the Friends of First Parish Facebook page before heading out. Contact coordinator Chuck Jones ( Charles_A_Jones@yahoo.com) for more details or with suggestions for future projects. 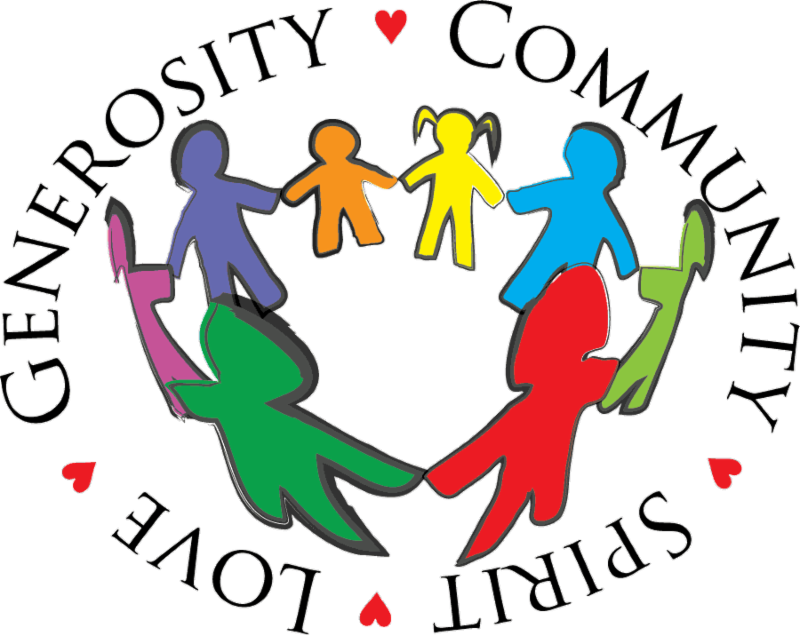 Caring Committee ­- Here¹s what we do and Here¹s where you can help! Tracey Timmens and Julianna Dunn are co-leaders the Caring Committee. What does the Caring Committee do? Tracey at 781-378-1162, email at tracey.timmins@bcbsma.com. dollar store or label your dish. We would love to have a stash of frozen homemade food ready for when a request comes in. Homemade soup or a casserole is a gift, but particularly when someone is overwhelmed. -Tuesday's, April 3rd, 10th, 17th, and 24th, from 9:00 am to 12:30 pm. -Thursday's April 5th, 12th, 19th, and 26th, from 3:00 pm to 6:00 pm. Please contact Alan Donaldson at 781-378-1562 if you can help. The client hours for the pantry are Tuesdays 10:00 to 12:15 pm and Thursdays 3:30 pm to 5:30 pm. Starting in April, the food pantry will no longer be handling out vouchers. We are also collecting food at church to deliver to the food pantry at the end of the month. To help you remember to bring an item regularly to church on Sundays, we are continuing the food of the week drive. On Sunday March 4th, we are asking for ham and clam chowder. We extend our sympathy to Joe Williams and Erica Boyle after Joe’s barn in Vermont burned.